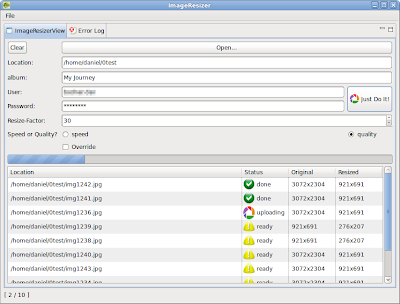 Yesterday, I had the idea to combine my ImageResizer-application with the Picasa Web Albums Data API. and click on a button! 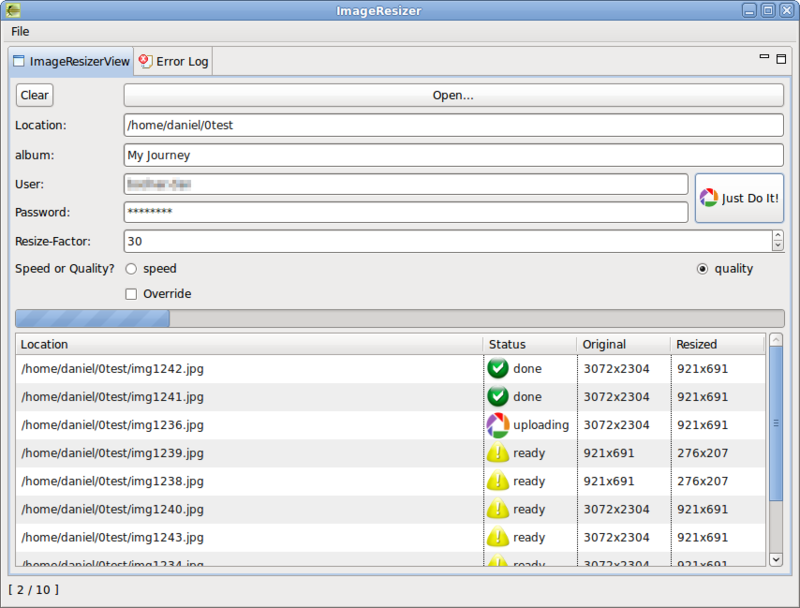 For each file, that exists local, but does not exist remotely, resize the file to the given factor and upload it to the given Picasa Web album. For each of the files, delete the remote version (if there is any), resize the file to the given factor and upload it to the given Picasa Web album. This solution seems to be optimal for uploading photos during my journey. There is no need to worry, which fotos I have already uploaded, because the "synchronization" is done by the software.